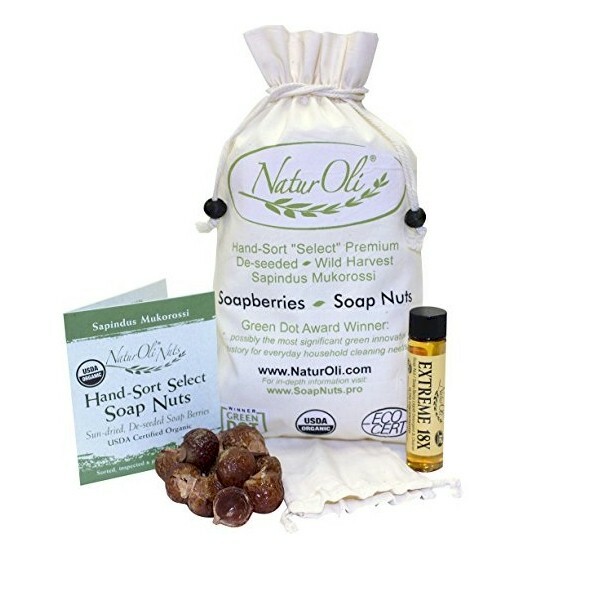 Soap Nuts are dried shells of the soapberry (a fruit) containing saponin – a highly effective cleaning agent. Saponin works like most detergents & soaps WITH NO CHEMICALS! USDA CERTIFIED ORGANIC. Extremely low cost per load! 100% natural laundry soap. A safe, economical, hypoallergenic, biodegradable alternative to harsh & harmful chemicals.